We have been having so much fun seeing what everyone is creating for the babies in their lives. We have been working hard behind the scenes to put together an AMAZING giveaway for all of you readers that love babies. We are so happy to give a shout-out to all of our awesome sponsors! Peekaboo Pattern Shop is a pattern shop full of adorable pdf patterns. They just came out with their line for babies, called the Lullaby Line. Moccs By Robin is an adorable etsy shop with the cutest baby shoes. They have styles for both boys and girls and they are very affordable! 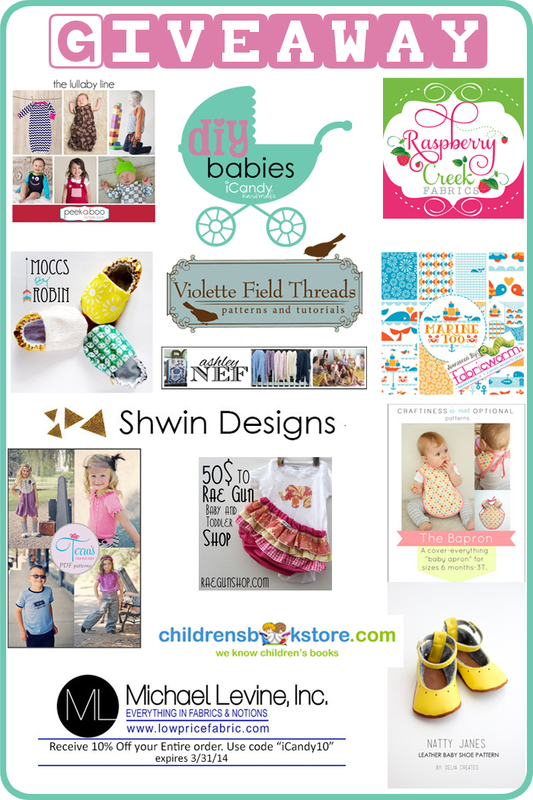 Shwin Designs is another fabulous pdf pattern shop. These patterns are unique and modern designs for both boys and girls. If only I had the time to sew all of them up! Terra’s Treasures is another great shop to find pdf patterns. There are some really cool, unique finds here in this etsy shop. Again, there are patterns for both boys and girls. Delia Creates is hands down one of my favorite blogs. Beautiful projects and photography. She recently started selling her Natty Janes, an adorable baby shoe pattern. Can’t wait so sew some up for Isabella! Craftiness Is Not Optional is another amazing craft/sewing blog you probably already follow. She is so incredible. She sells a pattern for a baby bib/apron called the Bapron. It is SO perfect in every way. I will be making some soon. For sure. childrensbookstore.com is such a great online resource for buying books and connecting with other children’s book enthusiasts. 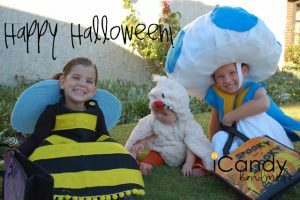 Their prices are so great and it is a great place to discover the latest and greatest children’s books. RaeGun Shop is an adorable etsy shop run by one of the coolest bloggers- Marissa from RaeGun Ramblings. She sells adorable baby clothes and bookish handmade items – so unique! Fabricworm is a must-see online fabric store. Their fabric selection is so so great and their prices are spot on. I could browse for hours on their site… if only I had an unlimited fabric budget! Violette Field Threads is another great option for pdf patterns. They have the prettiest boutique style designs and the patterns are well designed and written. Now that I have introduced all of our amazing sponsors, lets get to the prizes already! We have not 1 but 2 amazing prize packages. Isn’t this an amazing giveaway? Use the rafflecopter below to enter to win!